Produce, Fruit and Vegetable Flooring - Epoxy and Urethane Products | EP Floors Corp.
Produce processing facilities, including fruit, vegetable, and juice processing facilities of all kinds in the United States, are required to adhere to various inspection standards. Damaged floors, including worn, rough, cracked surfaces, are breeding grounds for bacteria. The USDA and other auditors are tightening their standards, to ensure these facilities provide safety products to the public. Floors in produce and juice facilities must be thoroughly cleaned regularly, often several times daily, to keep the surfaces clean, and adhere to government standards. The floor coatings must be durable enough to handle vigorous cleaning procedures, which typically include sanitizers/ aggressive cleaning chemicals. High end performance flooring will be required for this task. Additionally, the product will breakdown on the floor, which forms food acids, which are highly damaging to concrete surfaces. On a typical day in these plants, floors are exposed to a variety of traffic from heavy foot traffic, pallet jacks and forklifts. Often heavy loads are trafficked throughout the processing areas. Bare concrete is not enough. In produce plants, where cleanliness is of the utmost importance, concrete floors must be covered with a protective hygienic floor coating system. Urethane cement mortar floors, 1/4 to 3/8 inch thickness, are ideally suited for these types of facilities. Able to cure in cool, damp conditions, they provide a heavy traffic ready surface, permanent non slip texture, and a hygienic, non porous surface for cleaning. This system cures fast, which helps to ensure a fast turnaround installation in produce facilities. Puma-Crete HF cementitious urethane mortar is installed by EP Floors Corp. nationwide. There are no primers or sealers required. This is a one pass troweled system. Since there is no odor from the materials,there is no need to worry about the products becoming tainted. Some installations required installing temporary barriers, to perform the installation during production. 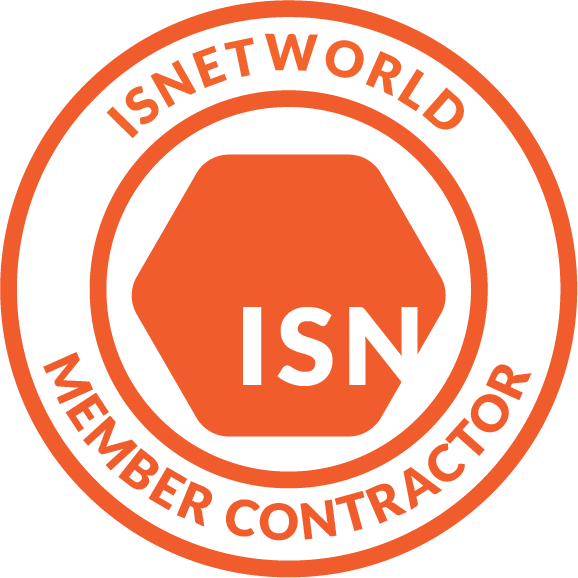 Utilizing our own crews, we guarantee a cost effective project, with a fast, efficient turnaround. 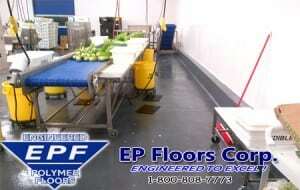 EP Floors manufactures the materials, and installs the product with their own crews. Single source responsibility along with 5 year warranty. Services include slope-to-drain consulting and installation, in order to prevent standing water. By sloping to drains using high strength polymer concrete, we are able to prevent puddles in the floor, reducing the labor cost and inconvenience of trying to move the water the drains. EP Floors provides consulting and full service contracting of floors for all types of food & beverage processing facilities. Specializing in urethane mortar flooring, EP Floors is a vertically integrated, providing single source responsibility, and a five year warranty.